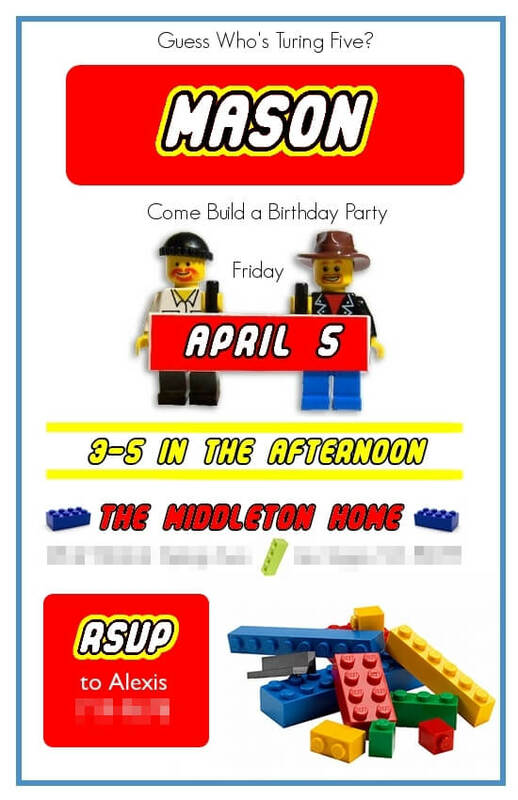 For my son’s 5th birthday party, we decided on a Lego theme. 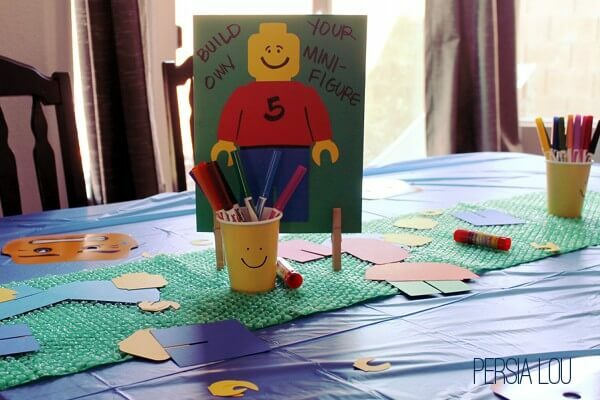 He has really been getting into Legos lately, and there are so many great resources for Lego parties out there that I knew a Lego theme could produce a party that was fun and special for my son, but also easy to put together for me. 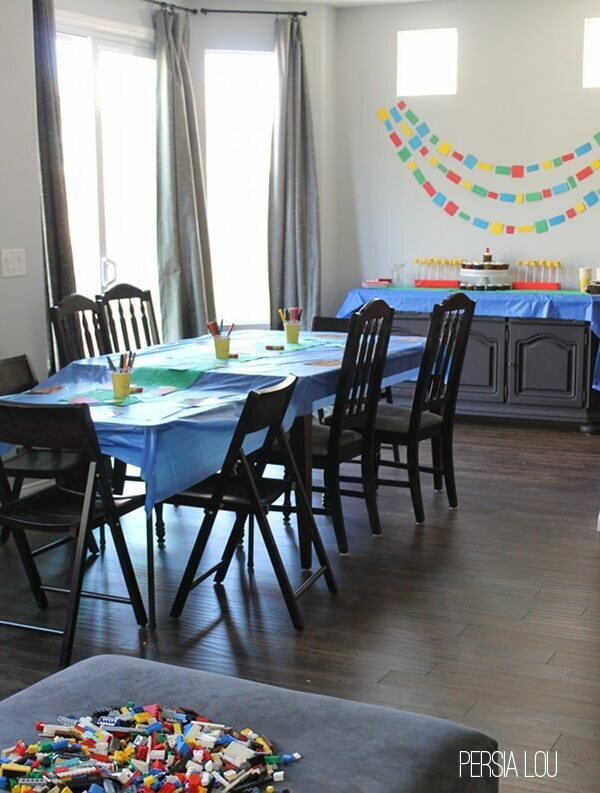 I got a lot of “Wow, you really went all out,” when it was honestly one of the easiest parties I have ever put together.So, want my best-number-one-pro tip on throwing a fun, easy Lego party? 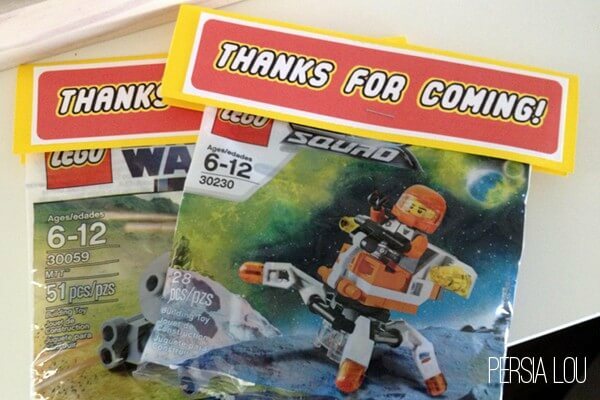 Here it is: Have a super nice friend who just threw her kid a Lego party give you all her leftover stuff. Seriously, it’s the way to go. 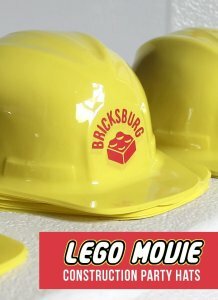 My friend loaned me her green bubble wrap for a cool Lego looking runner, her leftover Lego-shaped candies for cupcake toppers, her Lego mold that she used to make crayons (which I didn’t even get to), some already printed construction paper lego bricks, and some mini-figure die cuts for the kids to make and decorate their own mini-figures. 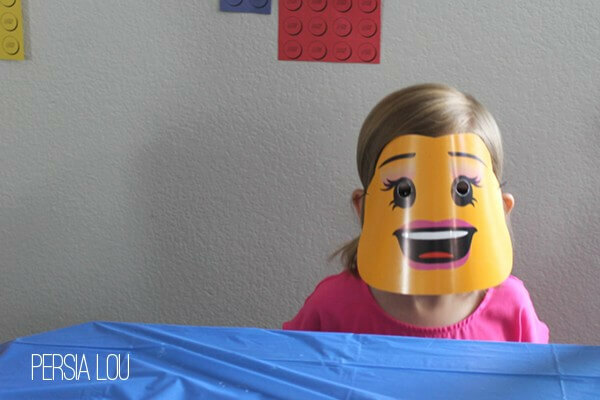 If you don’t have a friend who has recently thrown a Lego party, don’t fret! You have something almost as good, my friends: the Internet! Yes! SO much good stuff out there. 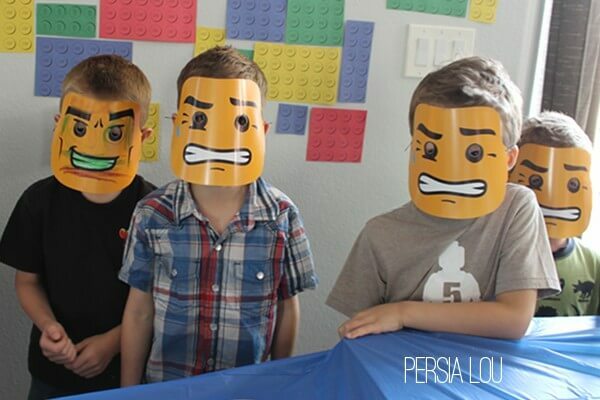 Like, maybe you want to download some awesome, free mini-figure masks? The little lady mini-figure is pretty dang cute. 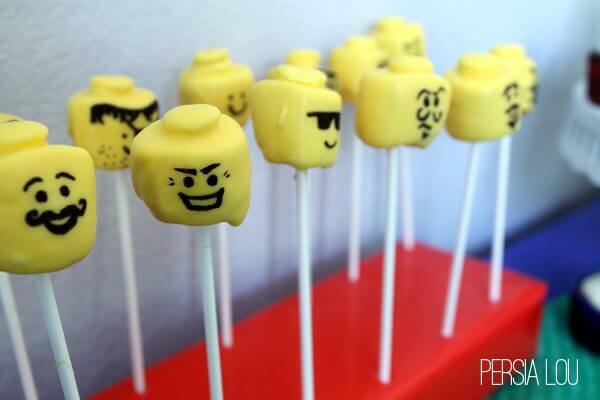 Or, you can find instructions for my favorite project of the party, the Lego head marshmallow pops. Living Locurto has a nice, simple tutorial for making them that I followed. I used a Americolor Gourmet Writer pen to draw the faces and google image search for some inspiration. These were so easy I don’t know if I will ever make cake pops again. We may only have marshmallow pops from here on out. 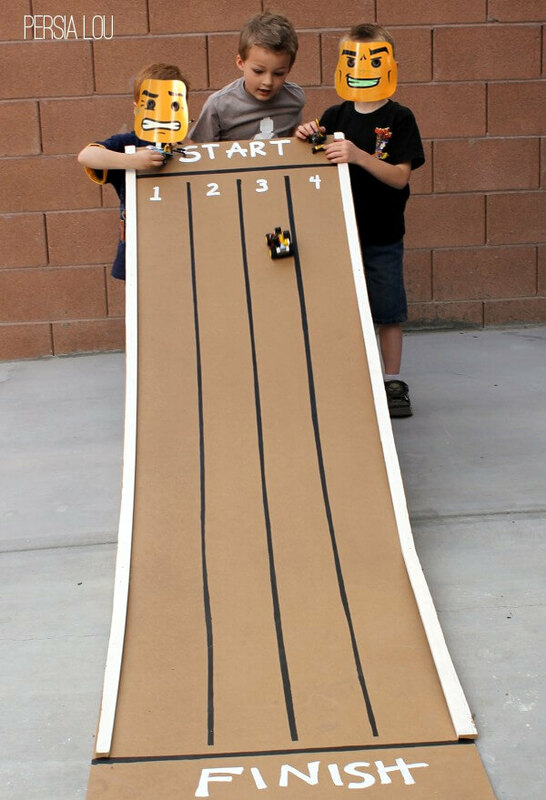 The main event at the party was Lego car building and racing. My husband built a quick ramp out of some leftover two by fours and a piece of something that we think was called drawer liner from the home improvement store (it’s the stuff used for the bottoms of cheap drawers). It’s strong but flexible, which gave the ramp a nice curve. I painted on a few lanes and a start and finish line. For favors, I bought the little Lego kits you can get on the endcaps of the toy section at Target or Wal-Mart for 3-4 bucks. I stapled on a little paper topper and called it good. If you want to print off your own favor toppers, click on the image below, then right click and copy image or save it to your computer. Print ’em off, cut ’em out, and glue ’em onto some yellow cardstock. 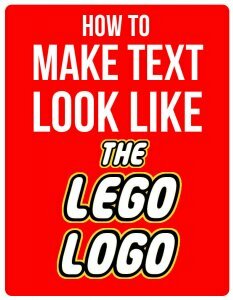 Or, to use your own phrase, be sure to check out my tutorial on how to make the Lego Thick font look just like the Lego logo. 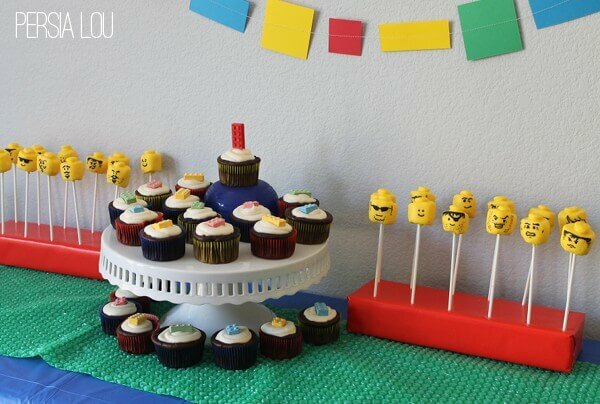 If you liked this post, be sure to check out these other Lego party posts! Thanks, Crystelle! The font IS really cool. 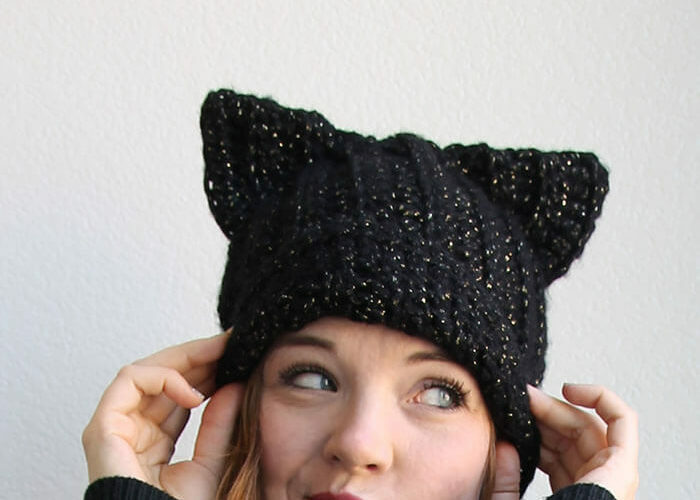 this is adorable!! 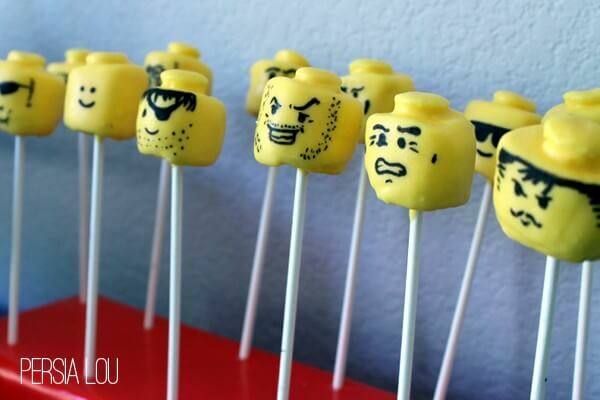 i love the marshmallow heads. 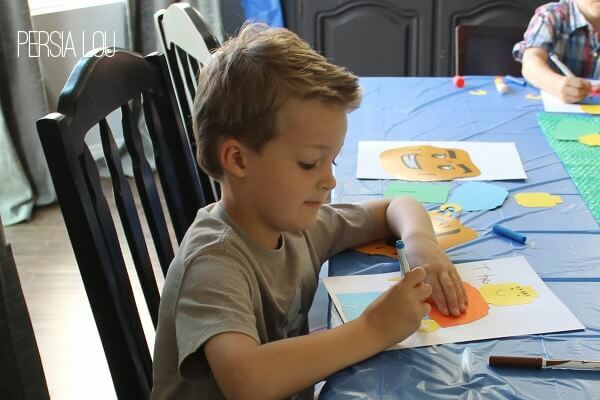 We are doing a lego party for my son this year – would you be willing to share where you got your die cuts? I&#39;m having the hardest time finding some 🙂 Thanks! !